* Added a "Play count" column. * Tries to fix tags which were wrongly entered by the user. 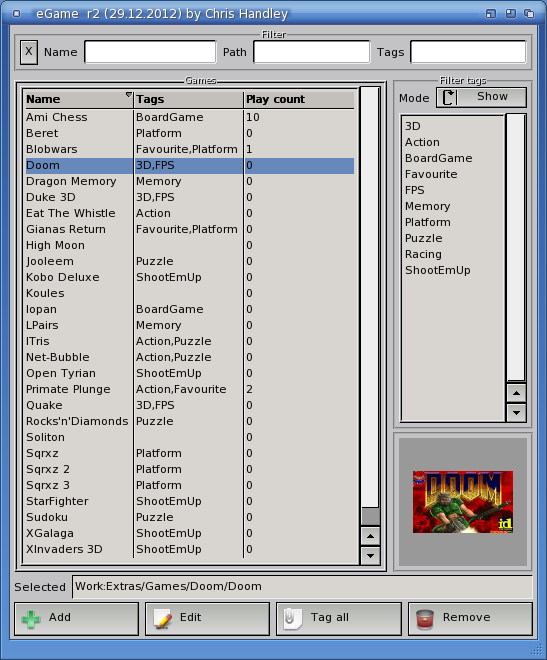 eGame allows you to keep an easily searchable list of games for playing - rather than having to hunt through lots of folders using Workbench/Wanderer/Ambient. 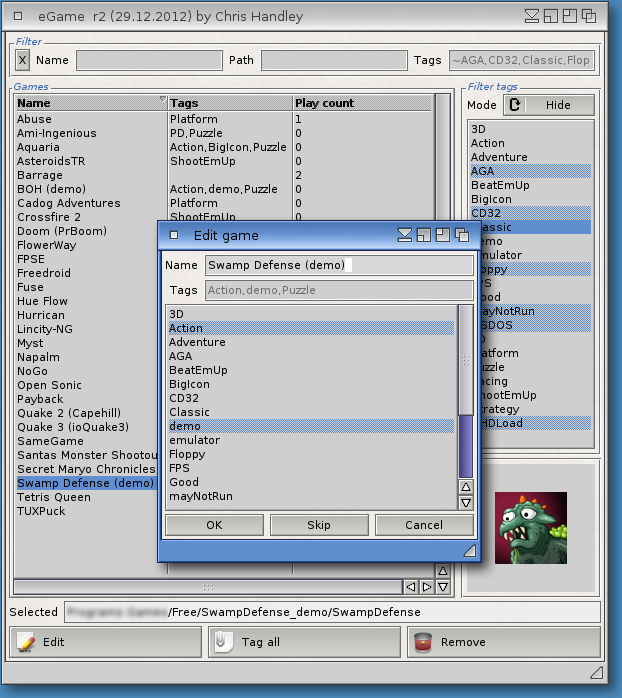 Please note that eGame is only able to start games that you can already run by double-clicking them. 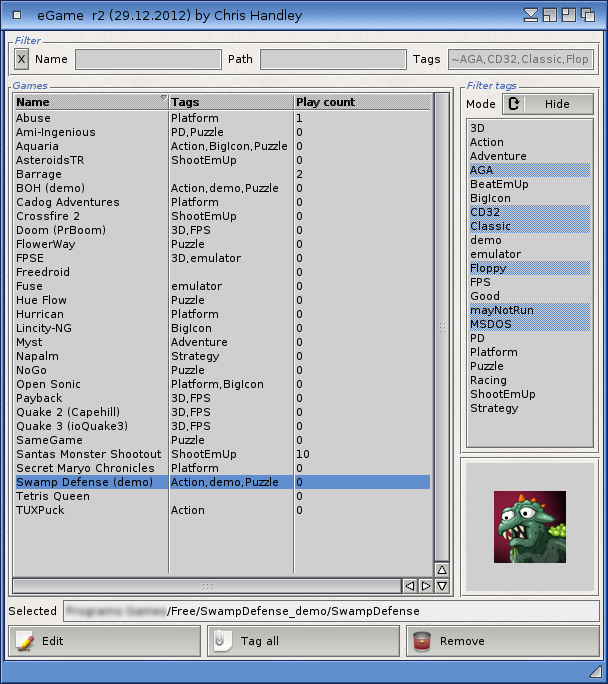 eGame has been tested on AmigaOS4 & AROS. 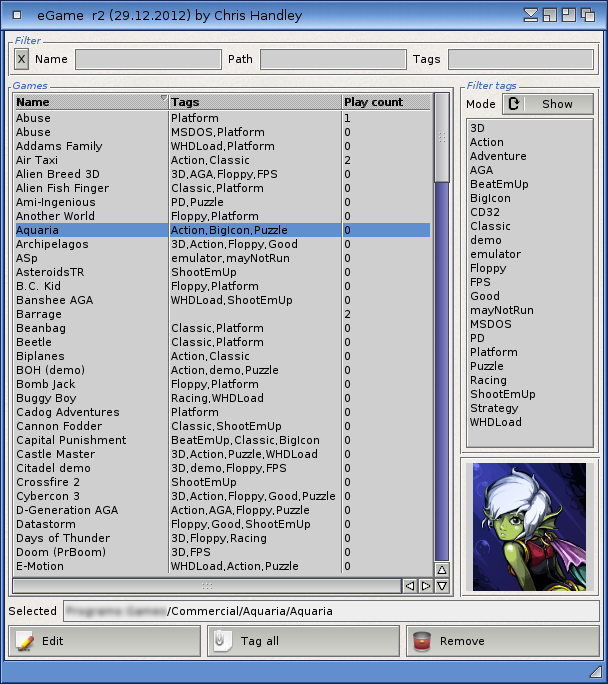 Although I have not been able to test it on MorphOS, I have been told that it does work :) . But if you have any problems then please let me know! 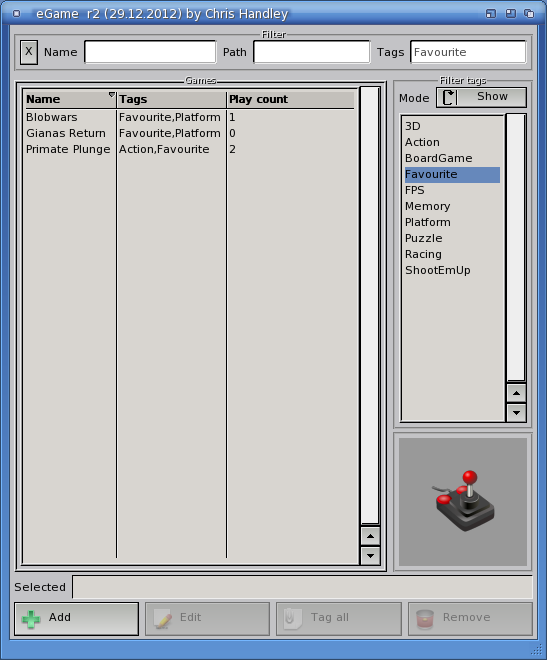 You can download eGame directly from my web site (until Aminet accepts the new version).